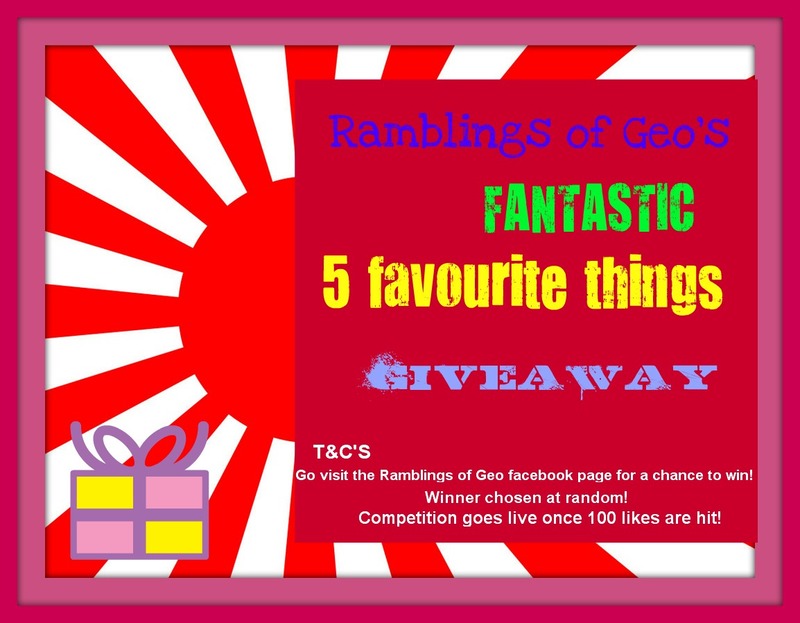 If you goto Facebook and search for 'Ramblings of Geo' or click the link, i have a competition which will go live once i get 100 likes. So go add me, i wont spam you with loadsa of status' or photos, it is mainly updates for my blog posts which go up. You have to Like the facebook page to be entered!